Want to learn more? Click on a pic! 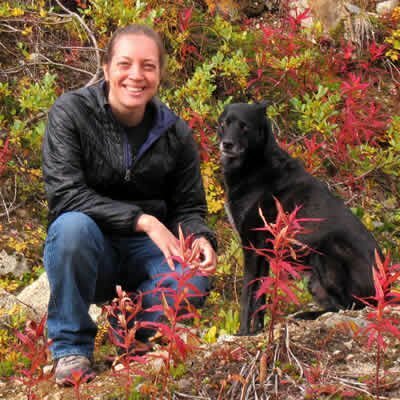 Lindsay Wood Brown is a board-certified applied animal behaviorist (ACAAB) with a master's degree in psychology and a concentration in animal behavior from Hunter College. Lindsay is a Karen Pryor Academy (KPA) course developer and has served as a KPA faculty member since 2012. She specializes in resolving behavior conditions and consults for animal shelters on the design and implementation of behavior programs, effective modification methods for a range of behavior conditions, and development of robust operational strategies to achieve behavioral health within the shelter. Lindsay served as the Director of Operations for Lynchburg Humane Society (LHS), an open-admissions animal shelter located in the foothills of the Blue Ridge Mountains of Virginia. Her role at Lynchburg Humane included the oversight of all shelter operations, with a strong focus on behavior and behavior modification to increase the number of animal lives saved and rehomed successfully. 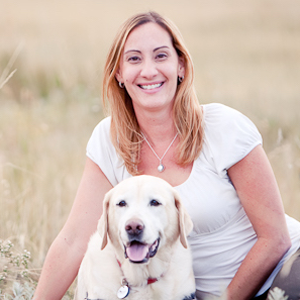 Prior to her role as Director of Operations in Virginia, Lindsay served as the Director of Animal Training and Behavior for the Humane Society of Boulder Valley in Boulder, Colorado. She developed Boulder Humane's Training and Behavior Department, including the curriculum for a wide array of positive reinforcement, clicker training classes for community members. Lindsay also developed the organization's comprehensive behavior modification program, which focuses on rehabilitating dogs with specific concerns, including food-guarding, fearful behavior, body-handling sensitivities, separation anxiety, and dog-dog aggression. Learn more about Lindsay on her website or Facebook page. Susan G. Friedman, Ph.D, is a professor emeritus in the Department of Psychology at Utah State University. Susan has co-authored chapters on behavior change in 4 veterinary texts, and her popular articles have been translated into 14 languages. 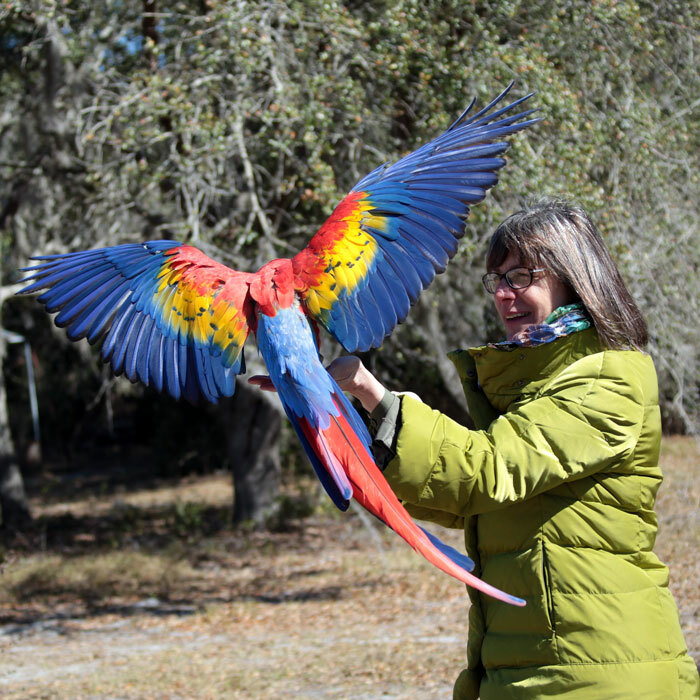 She teaches courses and seminars on animal learning and consults with zoos around the world. Susan was appointed to the F&WS Condor Recovery Team from 2002 - 2010, after which time the team was retired due to the success of the birds in the wild. She is the Chairperson of the Scientific Advisory Committee of American Humane Association (AHA) Film and TV Unit, and a member in good standing of ABAI, ABMA, and IAABC. Learn more about Susan on her website or Facebook page. Emma Parsons has been training dogs for more than 20 years. She specializes in managing and rehabilitating the reactive and aggressive dog. Emma is a faculty member of Karen Pryor Academy for Animal Training & Behavior (KPA), as well as a ClickerExpo faculty member. She gives Click to Calm seminars around the world, teaching others how to manage and rehabilitate reactive and aggressive dogs. Emma is the author of Click to Calm: Healing the Aggressive Dog and Teaching the Reactive Dog Class, as well as some bestselling DVDs. She is a member of the Association of Pet Dog Trainers (APDT) and the International Association of Animal Behavior Consultants (IAABC). 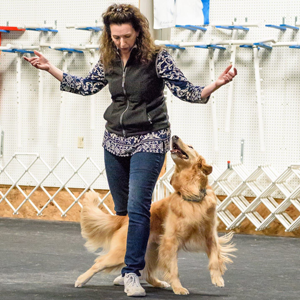 Emma holds a bachelor’s degree from the University of Massachusetts, Lowell, and shares her life with her husband, Greg, and their four clicker trained dogs: three Goldens, Lizzie-Taylor, Kayden-Blue, Austyn-Roque; and a Papillon, Wylie-Rae. Learn more about Emma on her website and Facebook page. Ken Ramirez is the Executive Vice-President (EVP) and Chief Training Officer of Karen Pryor Clicker Training (KPCT). There he helps to oversee the vision, development, and implementation of training education programs for the organization. A 40+-year veteran of animal care and training, Ken is a biologist and animal behaviorist who has overseen or consulted on training projects for many zoological organizations throughout the world. He began his training career working with guide dogs for the visually impaired and continues to work with organizations training dogs for service work, search-and-rescue, bomb detection, and narcotic detection. Ken has also maintained a close affiliation with pet training throughout his career. Prior to his work with KPCT, Ken served as EVP of Animal Care and Animal Training at Chicago’s Shedd Aquarium for more than 25 years. There he developed and supervised animal care and animal health programs, staff training and development, and public presentation programs for more than 32,000 animals. 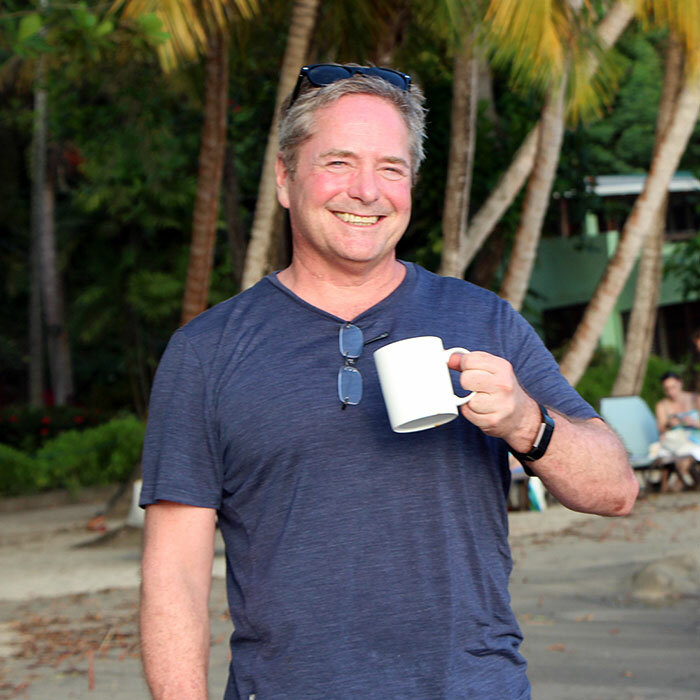 Ken has written for numerous scientific publications and authored countless popular articles. 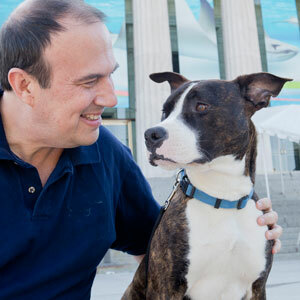 He authored the book ANIMAL TRAINING: Successful Animal Management through Positive Reinforcement, published in 1999. Ken taught a graduate course on animal training at Western Illinois University for 20 years and has been active in several professional organizations, including as a past president of the International Marine Animal Trainer’s Association (IMATA). He is actively involved in the creation of a certification process for animal trainers in zoological settings. Currently, Ken is developing courses and programming at The Ranch, the Karen Pryor National Training Center in the state of Washington. Learn more about Ken on Instagram or on Twitter. 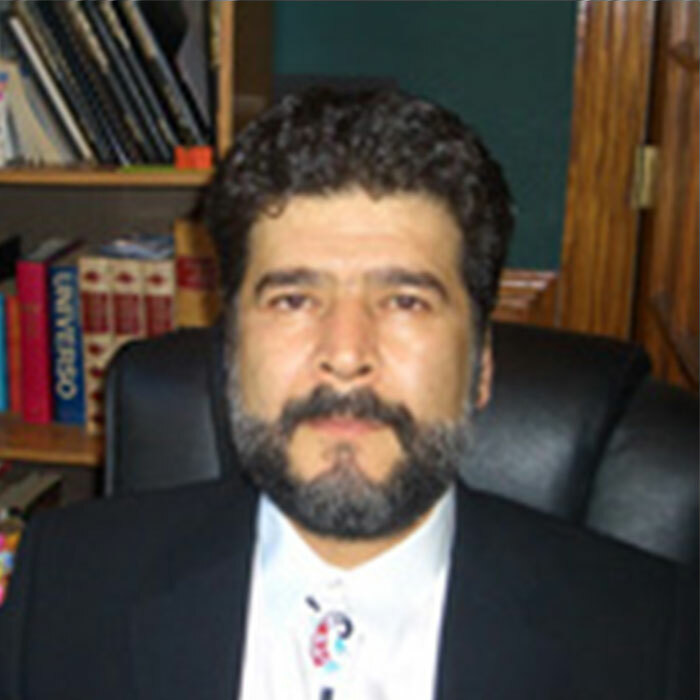 Dr. Jesús Rosales-Ruiz is an Associate Professor in the Department of Behavior Analysis at the University of North Texas. He obtained his Ph.D from the University of Kansas in 1995 under the direction of Dr. Donald M. Baer. Jesús serves on several editorial boards, including the European Journal of Behavior Analysis and the International Journal of Psychology and Psychological Therapy. His areas of interest include antecedent control of behavior, generalization, behavioral cusps, fluency-based teaching, treatment of autism, teaching of academic behavior, animal training, and rule- and contingency-shaped behavior. Grisha Stewart, MA, CPDT-KA, is an author, international speaker, and dog trainer who specializes in dog reactivity. She is based near Eugene, Oregon, USA. Grisha founded the online Animal Building Blocks Academy and the award-winning Ahimsa Dog Training in Seattle, Washington. “Ahimsa” is a Buddhist doctrine of nonviolence to all living things, which reflects Grisha’s focus on empowerment to promote the wellbeing of dogs and people. In her book Behavior Adjustment Training 2.0: New Practical Techniques for Fear, Frustration, and Aggression, Grisha discusses the updates to her popular BAT technique. She also covers a wide range of positive training strategies in The Official Ahimsa Dog Training Manual: A Practical, Force-Free Guide to Problem Solving & Manners. Grisha's BAT 2.0 video series, which explores empowered socialization and training, was released in 2014 in DVD and streaming formats. Grisha earned a master's degree in mathematics in 2001 and has done additional graduate work in animal behavior. She is an enthusiastic and entertaining presenter who creates her seminars to accommodate a variety of learning styles. Learn more about Grisha on her website, Facebook, YouTube, Twitter, or Instagram pages. Aaron Clayton has been president of Karen Pryor Clicker Training (KPCT) and a business partner with Karen Pryor for more than a decade. He is a management executive with approximately 25 years of experience growing service-based businesses. Of all his experiences, Aaron's involvement with teaching and learning as the president of KPCT has been the most fun and reinforcing (pun intended!). Prior to partnering with Karen, Aaron helped found and fund a human resources company and was a partner at a business strategy consultancy focused on improving the market position and performance of Fortune 500 companies. He is a board member of TAGteach, LLC. Aaron holds a bachelor's degree from Brown University and an M.B.A from the Tuck School of Business at Dartmouth College. Susan G. Friedman, Ph.D. is a professor emeritus in the Department of Psychology at Utah State University. Susan has co-authored chapters on behavior change in four veterinary texts, and her popular articles have been translated into 14 languages. She teaches courses and seminars on animal learning and consults with zoos around the world. Susan was appointed to the F&WS Condor Recovery Team from 2002 - 2010, after which time the team was retired due to the success of the birds in the wild. She is the Chairperson of the Scientific Advisory Committee of American Humane Association (AHA) Film and TV Unit, and a member in good standing of ABAI, ABMA, and IAABC. Emma holds a bachelor’s degree from the University of Massachusetts, Lowell, and shares her life with her husband, Greg, and their four clicker-trained dogs: three Goldens, Lizzie-Taylor, Kayden-Blue, Austyn-Roque; and a Papillon, Wylie-Rae. Grisha Stewart is an author, international speaker, and dog trainer based in Oregon, USA, who specializes in dog reactivity. She founded Empowered Animals and the online Animal Building Blocks Academy, as well as Ahimsa Dog Training in Seattle, which sold to a staff member in 2015. Grisha's Ahimsa team, earned many awards, including Best of Seattle and Best of Western Washington. "Ahimsa" is a Buddhist doctrine of nonviolence to all living things, which reflects Grisha's focus on force-free methods to promote the well-being of dogs and their humans. Her seminal book, "Behavior Adjustment Training: BAT for Aggression, Reactivity, and Fear in Dogs," was published by Dogwise in late 2011. Grisha's popular second book, "The Official Ahimsa Dog Training Manual: A Practical, Force-Free Guide to Problem Solving & Manners," was published in 2012 and updated in 2014. She also has over a dozen DVDs, with 6 currently in print. Her third book, BAT 2.0 was released in early 2016 and is available to order here on her site (and other places, but here is best)! This content replaces the first BAT book. Grisha is an enthusiastic and entertaining presenter who creates her seminars to accommodate a variety of learning styles. She continues to present seminars around the world and lessons online. 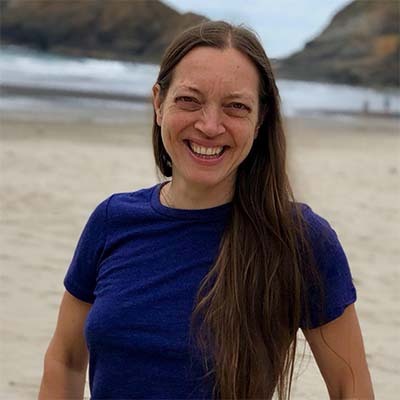 Grisha has earned a Master’s in Mathematics from Bryn Mawr College and most of a Master’s in Psychology with an emphasis in animal behavior at Antioch University. Her first career as a theoretical mathematician and college instructor serves her well in dog training and behavior consultations, because she relies heavily on the problem solving, critical thinking, and teaching skills she gained in that field. Since founding Ahimsa Dog Training in 2003, she has found her canine and human students to be much more excited about learning than her college students! Canine behavior fascinates Grisha and she is highly motivated to help improve our techniques for rehabilitating and training dogs. Her professional interest in dog reactivity, along with the need to find an efficient rehabilitation technique that would work with her own dog's fear issues, led Grisha to develop BAT. Grisha has also recently gotten interested in singing and writing music, including her song about BAT, posted below. Click here for more information about Grisha's music. Learn more about Grisha on her website or Facebook page.